Katie and I share the core belief that professionals can no longer afford to work individually and expect to meet the literacy needs of our children. The challenge is too great, our individual impact too small. Collectively we must leverage our expertise to have a much greater impact. 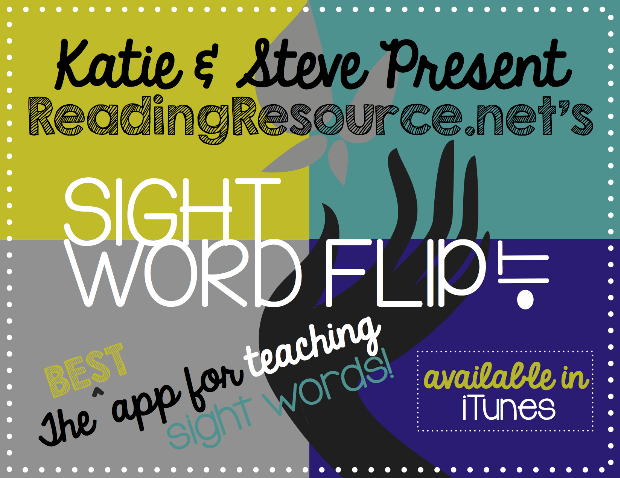 Katie is a classroom teacher and I am a speech-language pathologist. Our trainings are much different. We believe that when SLPs and teachers combine their skill sets through true collaboration the ideal literacy education takes place. My best professional development has been a result of collaboration with classroom teachers. I know many teachers feel the same way about working with speech-language pathologists. SLPs wanting to embrace an expanded role in literacy education often times encounter roadblocks that inhibit them from doing so ranging from large caseloads to lack of training to resistance from administrators or colleagues. I have experienced many of these roadblocks first hand, have conquered a few of them, and wish to offer support to other speech-language pathologists wanting to embark on a similar journey. Here are some important reads for any SLP wanting to play a critical and direct role in literacy. A series devoted to promoting clinical educational excellence in the schools. Secord, W. A. (2007, April 17). Vision and Values: What Works? : A Four-Part Series on Promoting Clinical Educational Excellence in Schools. The ASHA Leader. Montgomery, J. K. (2007, April 17). Imagining a "Second Time Around" in School-Based Practice. The ASHA Leader. Ehren, B. J. (2007, May 08). SLPs in Secondary Schools: Going Beyond Survival to "Thrival" : Second in a Four-Part Series on Educational Leadership. The ASHA Leader. Secord, W. A. (2007, May 29). Learning the Deep Structure: Elements of School-Based Leadership. The ASHA Leader. Griffin, S. M. (2007, May 29). From One Student to an Entire District : Advocacy Transforms Literacy Instruction, Raises Student Achievement. The ASHA Leader. Wolf Nelson, N. (2007, June 19). "Be-Attitudes" for Managing Change in School-Based Practice : Last in a Four-Part Series on Educational Leadership. The ASHA Leader. Secord, W. A. (2007, June 19). Epilogue: Leading from the Heart. The ASHA Leader. These books are essential reads for all educators. I recommend them specifically for SLPs because the information inside of them will heighten your abilities to consult with teachers, allow you to offer effective reading intervention strategies (especially in RTI meetings), and enable you to provide diagnostic insights as to why a child is struggling with reading. During my journey, assuming just a few of these roles initially, allowed me to gain the respect and acceptance from other professionals needed to be viewed as a valuable addition to my school and district's literacy initiatives. This book absolutely changed the way Katie and I teach reading and allows us to take students to new levels of reading achievement. McGuiness, D, PhD. (1997). Why Our Children Can't Read And What We Can Do About It. New York:The Free Press. ISBN# 0-684-83161-9 A required text for the school methodology class I teach in the Speech and Hearing Science Department at The Ohio State University. An easier read, Reading Reflex resulted from the research outlined in Why Our Children Can't Read. If you are not one for mental gymnastics, this book offers an alternative to Why Our Children Can't Read. My school uses the DIBELS screen. The information in this book helped me to assist teachers in using their DIBELS data to drive literacy instruction. Effective interventions for phonemic awareness and alphabetic principle are also provided. If your school uses DIBELS or AIMS WEB it is a must read! I recently participated in a mini-seminar presentation at this year's Ohio Speech-Language Hearing Association 63rd Annual Convention titled Preparing Speech-Language Pathologists For New Educational Leadership Roles in Language and Literacy. Resource List/Bibliography - Too many great resources to mention in this list. It includes just about everything used to teach language and literacy at the clinic! Assessment Tools - Another valuable resource listing the assessment and screening tools used at the OSU Speech-Language and Hearing Clinic to create their language and literacy assessment battery. This is really good stuff for SLPs! Powerpoint Presentation - An outline of the core beliefs and actions taken by The Ohio State University Speech Language and Hearing Clinic with regards to literacy intervention. 1. Be an Advocate for RTI - The first step in helping your school discard the wait to fail model is to become your school's expert in the use and advantages of a universal literacy screener like DIBELS or AIMS Web. I have used both screens and recommend DIBELS simply because it is FREE. AIMS web does have its advantages over DIBELS but not enough to justify the $2000-$3000 price tag! Please visit our DIBELS Page to learn more about the tool and my insights on its use in the schools. Keep in mind there is no "canned" approach to Response to Intervention that you can copy and simply implement. A school or district must develop their own process using available guides as a road map for implementation. SLPs have a unique skill set to help this happen! If you have questions or need consultation in working through the planning or implementation phases, you can contact me at steve@readingresource.net. I have consulted with several school districts across Central Ohio. Power, N., & Kysar, K. (2008, Sept. 23). Oklahoma school SLPs expand literacy role. The ASHA Leader, 13(13), 38-39. 2. Collect School Wide Data – During my first year in the schools, I collaborated with other SLPs in my district to establish grade level phonological awareness screenings in kindergarten and first grade. We started these screenings prior to the existence of DIBELS or other state level screeners. Collecting these data and facilitating discussions with parents, teachers and administrators regarding the real life implications of these data was significant in helping me to step outside of my traditional role and assume a larger role in the literacy education of students. Today, with the popularity of RTI (Response To Intervention) programs and the increased awareness of critical early literacy skills, it is easy to justify the necessity of collecting this information! Incorporating an early literacy screening instrument into already existing kindergarten screenings is a great place to start! If this is too much of a leap for you, try screening just the students on your caseload. 3. Consult with Teachers - Think centers, centers, centers! Helping teachers to create fantastic centers focused on phonemic awareness, basic code and advanced code is always received well. If you can pop into the classroom and help the students with the center activities you created, even better! An extra set of hands in the room while teachers are in small reading group is always well received and a great way to for SLPs to begin some true consultation and collaboration with teachers. Make sure you check out our Phonemic Awareness Activities, Reading Activities I and Reading Activities II pages for great ideas.